Since the intial announcement of the joint venture, extensive project planning and place making research for Muttrah, the district that surrounds MASQ, has been undertaken, it stated. This included third-party studies, technical evaluation and traffic flow analysis. After the masterplan was granted approvals from Oman’s Ministry of Tourism, demolishment began as the joint venture prepared sub surfaces for the first phase of construction, said the statement from Omran. Dr Ali bin Masoud Al Sunaidy, Deputy Chairman of the Supreme Council for Planning, Minister of Commerce & Industry and Chairman of Omran, said the redevelopment of the port into an integrated lifestyle destination stems from Sultan Qaboos’ vision of transforming the historical centre of commerce in Muscat into a timeless and thriving economic hub. "The first stage of this project aims to set the foundation for the transformation, enhance traffic management, while establishing the necessary framework that will cement local SMEs’ and Omani nationals’ progressive role within the project," he noted. The joint venture also announced plans to house an on-site discovery centre by the first half of 2019, said the statement. The space will enrich visitors’ experience with the heritage of Muttrah, while leveraging technology tools, such as virtual reality gear, to explore the community’s rich past and its visionary future. 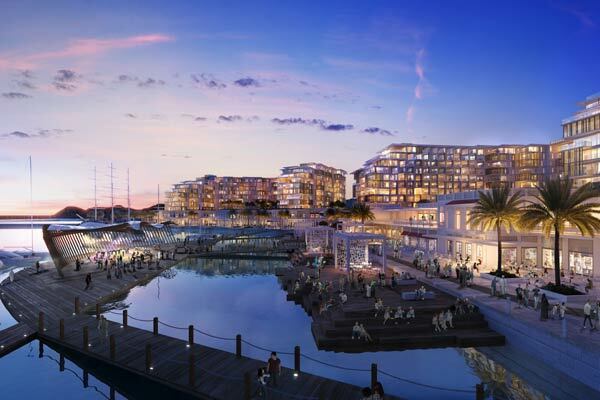 The centre will also showcase details of the approved masterplan for the waterfront destination, it stated. Hussain Sajwani, the chairman of Damac, said: "As we pave the way forward, and redefine urban development in the Middle East, Damac once again confirms its commitment to developing a world-class destination in Muscat."